Welcome to Football Friday and the Game Day Recipe. 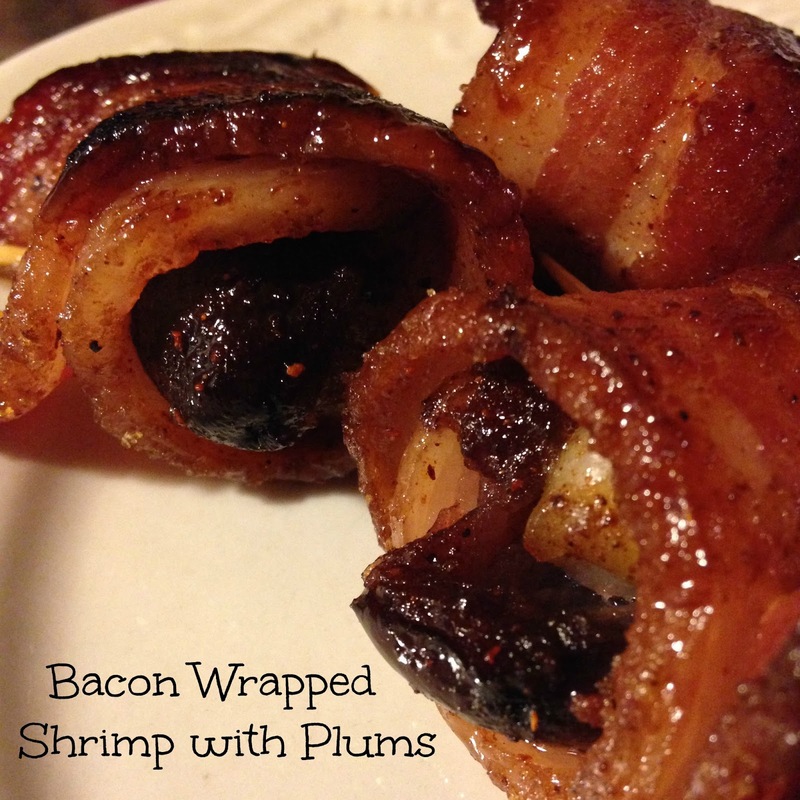 Today’s recipe is Bacon Wrapped Shrimp with Plums. Sounds a bit “odd” but it’s really quite delicious. The smokiness from the bacon and the sweetness from the plums pairs remarkable well with the shrimp. If you aren’t a fan of plums or if plums aren’t in season in your area, you can substitute fresh or canned pineapple chunks. Give these sweet and spicy snacks a try at your next party! Easy, different and so tasty. 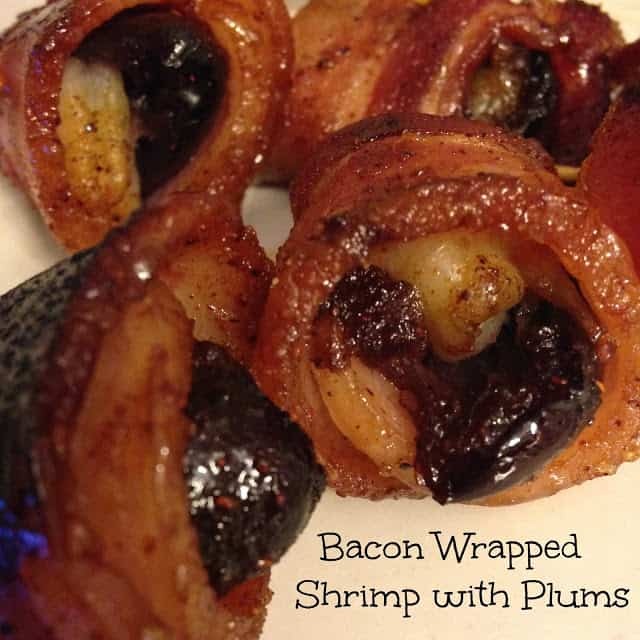 Plus any recipe that involves wrapping something in bacon scores a touchdown in my book! Another reason why these appetizers will disappear fast…after the plums are pitted, a shrimp is nestled inside the plum and then the whole thing is wrapped in bacon, these yummy bites are coated in a mixture of brown sugar and chili powder, then baked in the oven. Preheat oven to 350º Line a rimmed baking sheet with foil. Set aside. Drain purple plums, reserve juice for another use. Remove pits from plums, discard. Cut plums in half, pat excess juice from plums with paper towels. Set plums aside. 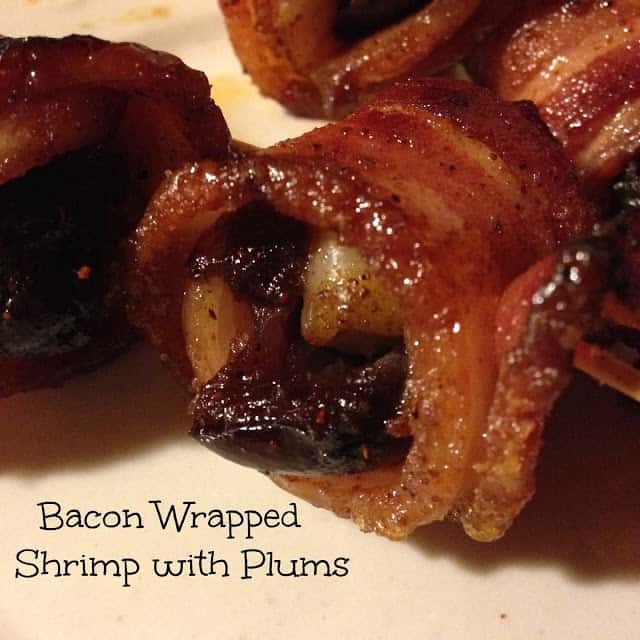 Holding a shrimp, nest one plum (pineapple chunk) in the natural curve of the shrimp, then wrap bacon around the shrimp and plum (pineapple chunk), secure with a toothpick. Wrap and secure all 12 shrimp. 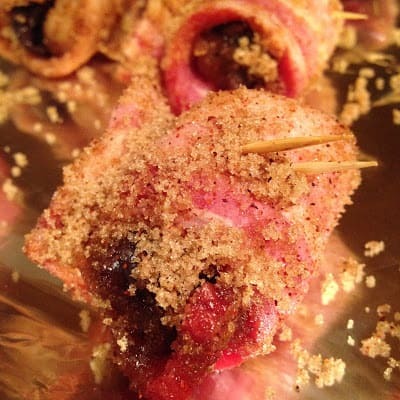 In a large resealable bag, mix together brown sugar and chili powder. 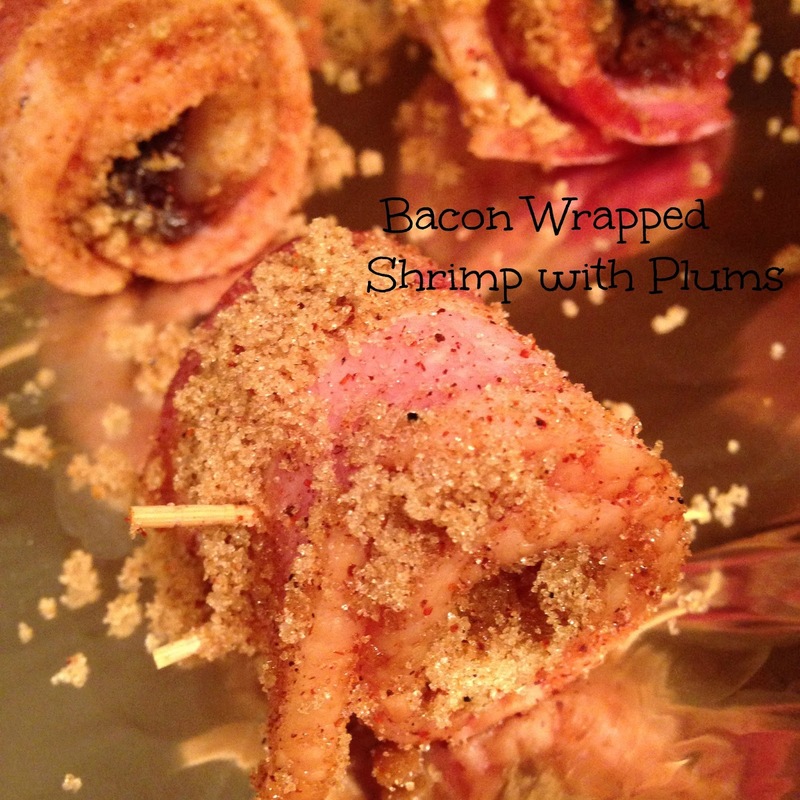 Add bacon wrapped shrimp to bag with brown sugar mixture. Seal bag, shake gently to coat each bacon wrapped shrimp.